I was representing TNANews.com in a conference call with TNA Wrestling star Magnus. The conference call was to promote the company&apos;s One Night Only "World Cup" pay-per-view, which will be available on December 6th, 2013. Below is the recap of the event. Magnus started off by saying the crowd reaction can literally change at any time, so if he is heel by the time he goes to the United Kingdom during the 2014 tour, he wouldn&apos;t have a problem if he gets booed. Magnus stated that 2012 was his "milestone" year while 2013 was his "breakout" year. He said the company gave him plenty of opportunities to give him the spotlight this year and he tired to make the most of it. He said he does see himself coming to the UK as TNA World Champion, but he played it off by saying that everyone should think they should be champion at a certain point. He is thrilled to have the One Night Only PPVs in the United Kingdom. He put over the whole One Night Only PPV concept saying that you can see matches you haven&apos;t seen before. He stated that he can&apos;t get away from the discussions about how the company is doing internally, but he and the roster have to go out there and give it their best. He said there is a time where you have to block out the negativity and internal stuff and just be a wrestler. Magnus wanted to make clear that is is important for the wrestlers and employees to understand where the company is going and that comes from the people steering the ship. He stated that it is really clear in his eyes. He said that he is always thinking about the company and he actually thinks he is driving people in the office "nuts". He tries to give them ideas on how to raise revenue and increase their market share in a particular area. Magnus has been very pleased with his 2013 career and is excited to see how it ends. His praised his match with AJ Styles in the finals of the Bound for Glory Series and his match with Sting is an opportunity that doesn&apos;t come by often. In an interesting note, he said that if he isn&apos;t World Champion by the time 2014 ends then something has gone wrong. Magnus showed tremendous respect to both Rob Terry and Doug Williams. He stated Doug helped him get his first matches in the wrestling business. He also stated that he hasn&apos;t seen Mr. Williams in awhile. Magnus stated that he would have taken Kurt Angle&apos;s spot during the 1D Day with One Direction if he was given the opportunity. Magnus has actually went to TNA officials and mentioned a Doug Williams vs. Magnus match in the United Kingdom and also threw the chance of it being for the TNA World Title. Magnus stated that the title between them may be out of reach, but he puts over the match as something everyone would want to see over there. He doesn&apos;t know if the comparison between him vs. Sting to Ric Flair vs. Sting is correct. He said the matches had a different story behind them. Flair was champion while Magnus was about winning and establishing himself. He did state that Sting gave his approval to Magnus in a private conversation before as well as saying that Magnus deserves it. Magnus puts over his time with the Main Event Mafia as one of his favorite times in his career. He loved doing the Mafia entrance with the suits and the strut down the ramp with huge names beside him. He also pointed out that factions should always be used in the wrestling business as a tool to showcase everyone in a certain period of time since TNA doesn&apos;t have much air time each week. He said factions give people more creativity. Speaking of factions, Magnus&apos; favorite faction as a fan is D-Generation X while his overall favorite is The Four Horsemen. Holding the King Ka Ring Championship meant a lot to him. 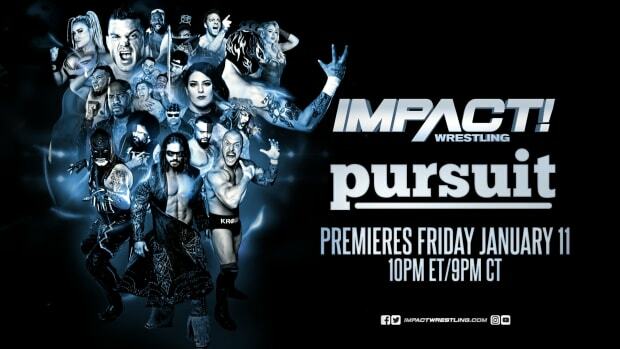 It was a TNA division/company with Jeff Jarrett in charge of it. Holding the title meant he had Jeff&apos;s faith. Magnus stated he follows Wade Barrett&apos;s career and actually went to wrestling school with him. They text each other every now and then. He did say that he met up with Sheamus and Drew McIntyre a couple weeks ago. When asking who Magnus would like to fight, he said fighting Kurt Angle was a huge milestone in his career. He would have also liked to face Ric Flair, Bret Hart, and Shawn Michaels. Magnus praised Universal Studios in Orlando, Florida and says he is excited to be back. Magnus pointed out that fans are forgetting to be fans. He said they worry to much. People just need to sit back, watch the show and enjoy it. He pointed out that fans are really interested in seeing the backstage roles of the wrestling company and who runs the shows and business. He praised Dixie&apos;s heel character and said it is time for her to be in front of the camera as well. He hopes to be associated with her more on television. He brought up that he is an independent contractor and that he needs to associate with the top people to gain what is best for him.